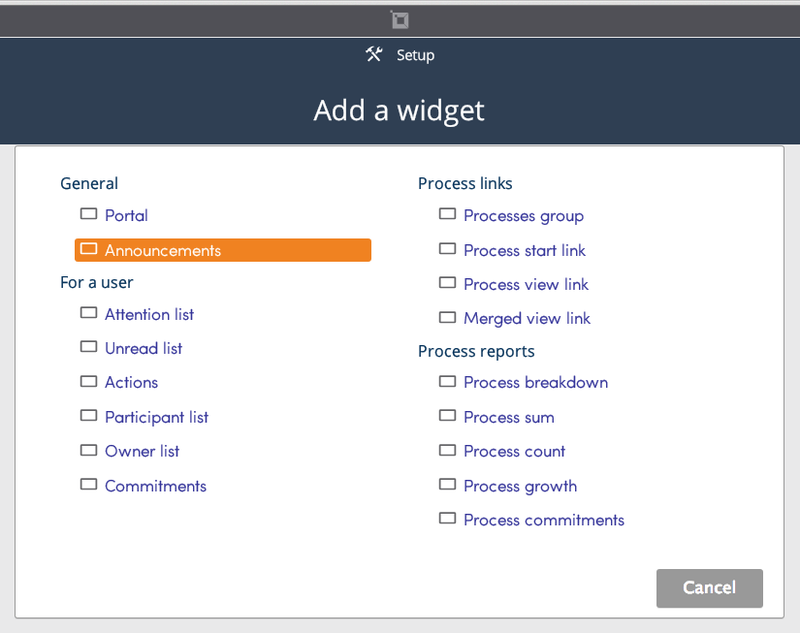 Add an Announcement Widget to a Dashboard to display important information throughout your company. 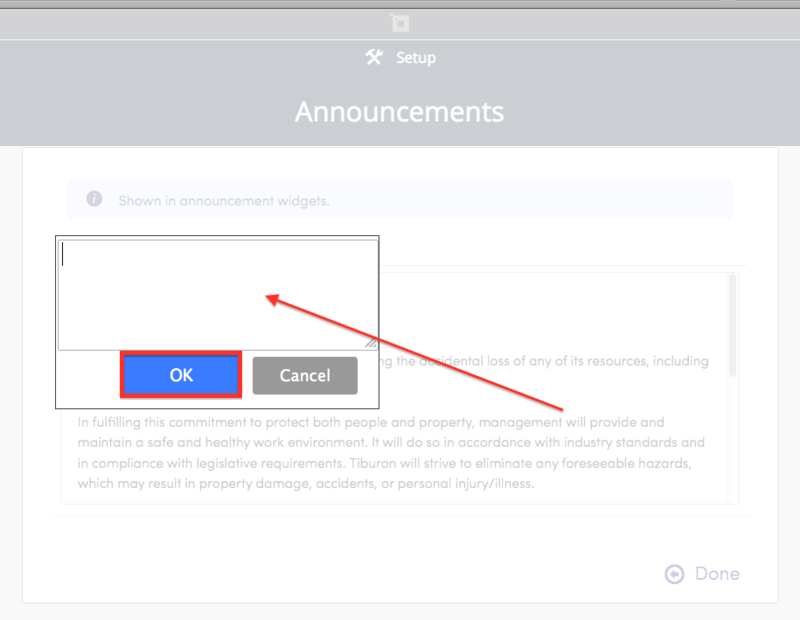 To edit the Announcement widget click Announcements on the Setup Dashboards page. To add a new announcement click Add a note. Enter the new announcement in the text box and click “OK”. To edit an existing announcement, click Edit notes. Edit the announcement and click “OK”.